In commercial real estate sales or investment sales, make sure that you are freshening up the listing stock frequently. 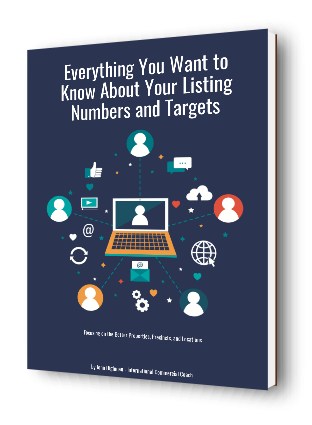 There are so many other listings on the market at the same time that you simply cannot let any exclusively listed property just ‘sit around’ without a refresh on advertising and marketing content. So what do I mean by a ‘freshen up’? In general terms it is the process of changing elements of the advertising to give the marketing process more momentum and potentially increase inbound inquiries. The information to be ‘freshened’ would include price, rent, copy, photos, and layout. In saying all of this, I do draw the distinction between open and exclusive listings. The exclusive listings on your books deserve the extra time and focus to lift enquiry. If you have a longer listing appointment (say at least 90 days) then you have the ability to approach the client and discuss marketing changes at least monthly. There is no point in listing a property and then waiting for something to occur with enquiries and inspections. Track and measure all of your marketing efforts so you know exactly what’s happening locally with the buyers and the tenants. Professional photographs and video – make sure that all of your visual material is professionally created. You can see the difference online with images that are well considered and taken by a photographer. When you are up against other listed properties, that ‘eye catching’ factor is really important. Websites – some agents use a number of websites to promote listings. That is a good strategy; however the advertisements should be different in each portal. That is how you can optimise search engine exposure and potentially the enquiries coming back to you. Portal priority – most of the internet industry portals have ‘priority placement’ based on the money paid for the online listing. Sell your marketing packages to include a priority placement on the portals, and during the promotional process spend time in upgrading and changing the advertising copy every couple of weeks. Advertising copy – you can use a professional writer to help you with words and phrases that sell the listing and attract attention. The fee for the process can be merged into the vendor paid campaign costs. 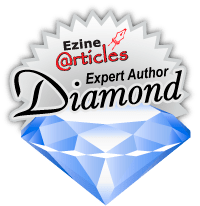 Editorial – if your property has a point of difference or perhaps a local ‘identity’, then you should write an editorial and put it to the newspapers and publish it on your blog with links back to your social media sites. Signboards – a good signboard with specific property information will help with local promotion. Every exclusive listing should feature a prominent signboard of this type placed on the boundary of the property or the building itself. Just listed letters and flyers – when something is listed exclusively, get the flyers and letters into the local area quickly. There is a degree of effort required in doing this, but you will potentially gather a lot of enquiries from business owners and property owners or investors. Newspapers – with the evolution of the internet, newspapers have limited promotional value for property listings, so consider the cost versus exposure and response equation. Spend only some of your advertising money on newspapers and assess the value in doing so. Email – the convenience of the email system allows us to connect with a lot of people at the same time. The conversion factors with email marketing lift significantly when you take the time to call the people that the email was sent to. Newsletter – every brokerage should be sending out a newsletter at least once a month and preferably more frequently. High quality listings should be featured in the newsletter together with industry and city updates about property. Blogs – the blog process works very well with social media and can help lift your brand and relevance as a property specialist. The strategy behind writing and lodging a blog is that of information; it is not about listings. Use the blog to talk about industry changes and property updates from a local area perspective. Search engines love to see information and that’s why blogs work so well. Direct mail – sending out direct letters to property investors and business owners really does work well. That assumes you have the right contact information and regularly connect with the people in your database. After every direct mail piece is sent, spend time in follow-up on the telephone. Brochures and flyers – put your brochures out into the local business community and through the postal letter box system. Spread the word about every good quality property and campaign. Direct calls and door knocking – getting ‘face to face’ with your market is valuable. Most of the new business we create is from the ‘face to face’ process. The good thing with all of these promotional variations is that they all work very well; you just need to put them into the campaign cost structure, and then track the success and response rates. From that point onwards the refreshing and revitalizing of all your commercial real estate marketing can have the maximum benefit. All of your exclusive listings should get this attention.